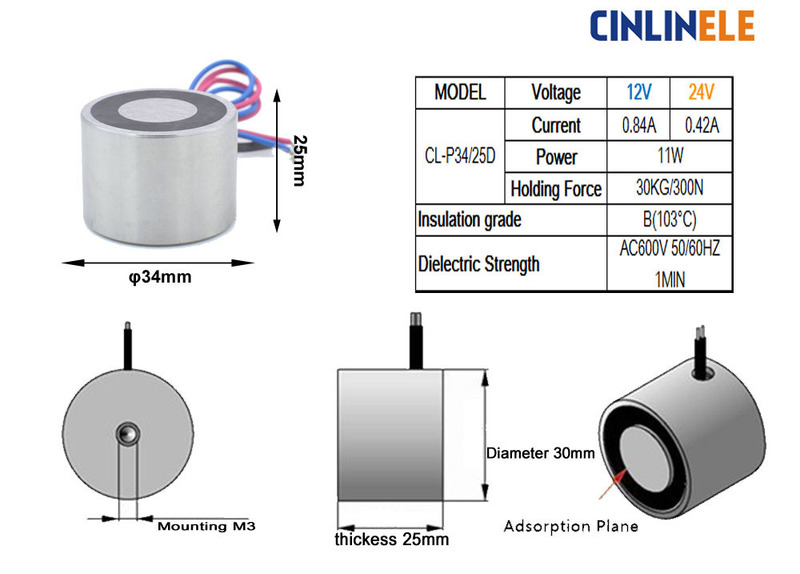 This 50mm diameter, 35mm high cylindrical electropermanent lifting magnet has a normal, permanent magnetic field. When an electrical current is applied, the magnet is deactivated and the magnetic field disappears. These P50/35D magnets are recommended for applications when a magnetic field is required more than 50% of the time and are often used in door controls, alarms, machine guards and robotics. They require low levels of power and comes supplied with wiring for instantly attaching to an electrical source.